A new Champion Athlete With Diabetes! Betsy Ray. 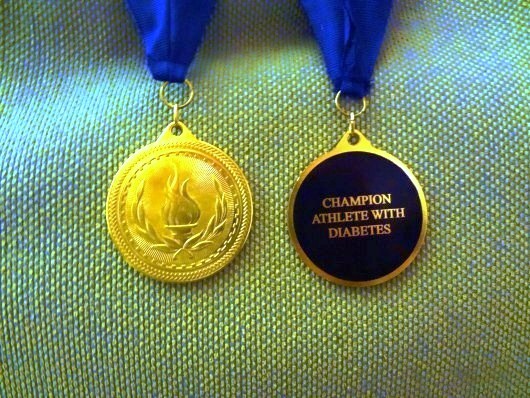 I’m always shocked at how people who are doing amazing things in the diabetes community write me about their athletic achievements, and then wonder if they really have done enough to earn a Champion Athlete With Diabetes medal. One of those people is Betsy Ray. Betsy is already founder and CEO of a group called Diabetes Activist. Diabetes Activist is all about supporting People With Diabetes, helping them toward a healthier, happier future while living with this chronic condition. 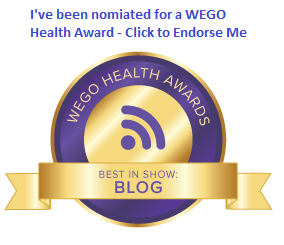 They include a number of voices in the continuing dialogue of what works best for People With Diabetes, and they work to improve the outward message of People With Diabetes by educating and helping others toward a great understanding. Want to read her story? Click HERE. That’s enough for me… but that’s not all. Betsy is 52 years old, and she’s been living with diabetes for 50 years! She’s also got a daughter who’s been living with Type 1 Diabetes for the last 16 plus years, who is performing athletic wonders too. Still not enough for you? How about this? She rode in the Colorado Tour De Cure on August 14, 2014 and before that she did the Triple Bypass. The Triple Bypass is a 125 mile ride in Colorado that crosses three mountains with peaks above 10,000 feet. She turned in an awesome ride in the event, even though she had to get assistance due to snow(!) at the top of one of the passes. Yet Betsy still felt the need to ask me: Am I eligible for a medal? Are you kidding me? Eligible doesn’t even begin to cover it. Oh yeah… Betsy Ray sounds like a Champion Athlete to me. She is exactly the type of athlete that inspires others to keep trying, and keep seeking their athletic dreams. Way to go Betsy! So… the weather is warming up. Are you thinking about running that race, riding that ride, doing that swim, participating in that competition? I would love to hear about it! As always, I encourage you to click here, find out more, and send me an e-mail today. « A lot of zeros. Wow, Betsy is impressive and inspirational for sure!! Thanks for sharing her story! Betsy sounds gutsy! I love this. I hope she sends you a picture of that medal with all her other race medals!